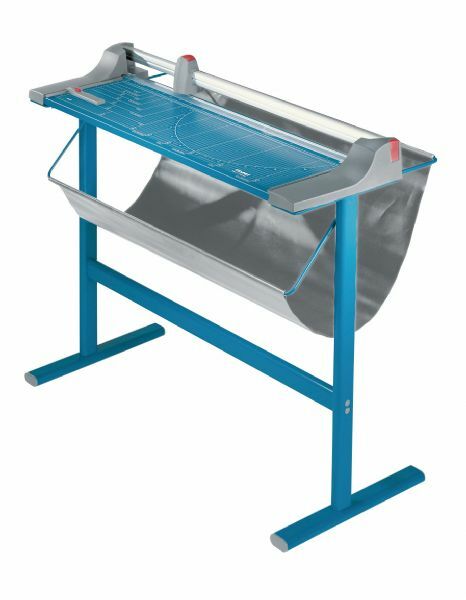 For heavy industrial use this high-capacity trimmer cuts up to 30 sheets of paper at once. * Ground circular blade enclosed in plastic housing is self-sharpening and cuts in either direction. * Features an automatic see-through paper clamp metal base with pre-printed guides for precise cuts and a thick-walled aluminum guide rod. * Adjustable backstop fits on either side. * Can be wall mounted. * Handles mat board and other rugged materials. 41" x 34.5" x 10"